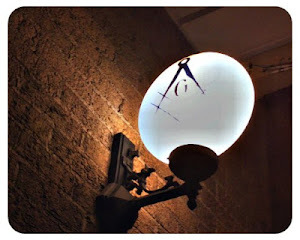 The Midnight Freemasons: REPOST: Neil Armstrong: Freemason Or Not? ﻿﻿﻿I thought I'd repost this today. It's with a heavy heart we mark the passing of a true American hero. 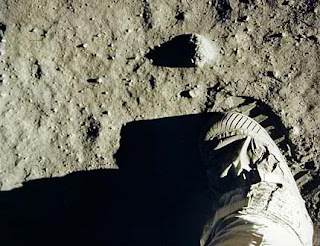 Neil Armstrong died today at the age of 82. He made history on July 29, 1969. He was literally, a man that went where no man had gone before . . .
As the first man to ever set foot on the moon, Neil Armstrong has become perhaps one of the most well-known NASA astronauts. Long before he was an astronaut, he was a pilot during the Korean War and flew seventy-eight combat missions. Neil Armstrong was an early pioneer of high speed flight and was a test project pilot for many types of air experimental crafts--he flew over two hundred different types of air crafts which made him an excellent candidate when NASA began searching for qualified astronauts. He is often included on lists of famous Freemason, however, Neil Armstrong, Jr. is not a Freemason. There's a little confusion with the name. His father, Neil Armstrong, Sr. was a very active member. The eagle has landed . . . The Scottish Rite Flag Buzz Aldrin took to the moon. Not to say there weren't a lot Freemasons amongst NASA astronauts--members of the craft were well represented. Freemason astronauts include Buzz Aldrin, Leroy Gordon Cooper, Donn Eisle, John Glenn, Gus Grissom, James Irwin, Edgar Mitchell, Walter Schirra, Thomas Stafford, and Paul Weitz. 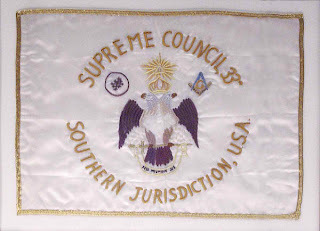 As a matter of fact, Buzz Aldrin took a personal item on the Apollo 11 mission--a hand embroidered flag of the Scottish Rite Southern jurisdiction.